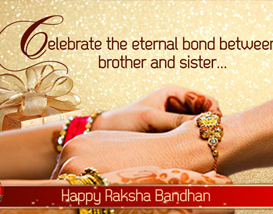 Raksha Bandhan is the perfect time to strengthen the relationship of a brother and sister. Various traditions are followed on the occasion of Raksha Bandhan and the most important one is the exchange of Rakhi return gifts. 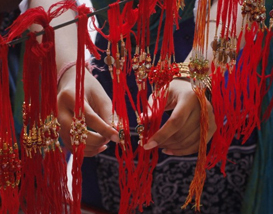 The history of Rakhi festival is full of instances of return rakhi gifts. Some of these are discussed here. Goddess Laxmi tied rakhi to Raja Bali and he in turn fulfilled her wish to return to her abode with Narayana. King Porus spared Alexander's life as a gift to Alexander's wife who had tied a rakhi to him. Humayun reached out to help Rani Karmawati accepting her rakhi. 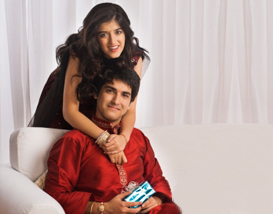 Thus sending Rakhi Gifts for Sister are a part of the Rakhi tradition since ancestral period. The Rakhi Return Gifts are in fact the acceptance of the sisterly love. People also believe that when sisters come to their brothers or parents place then, as a custom, she has to be bestowed with gifts when she is going back. 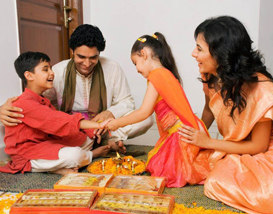 This tradition of rakhi return gift took a new form in modern era and became a physical symbol of the brotherly pledge. Presenting returns gifts to sisters on the Rakhi day is the oldest tradition that is followed since ages. The tradition of Rakhi gifts have it’s own significance among brothers and sisters as this token of love further strengthens the bond of love between a brother and sister. Earlier, cash was given as a return rakhi gift to a sister. At that time, the amount could be anything from Rs1/- to Rs11/-, Rs21/- and so on. Gradually, this tradition of giving cash has changed and taken the form of gift items. The gift can be any thing from clothes to decoratives, cosmetics, jewelry boxes or electronic goods. Sending toys, chocolates, clothes, video games, etc to children is a good idea for rakhi return gift. For others, the most preferred gifts ideas include quite practical items. People prefer sending useful gifts like decoratives complimenting the house decor, bangle boxes, clothes or any other thing that the brother feels will be of use for the sister. The current trend as Rakhi gifts is Gold souvenir. Brothers can also switch to soft toys as they are mostly liked by young girls. Perfumes and body sprays are another gifts to be given on this auspicious day. Gifting exclusive bracelets, wrist watches, semi-precious stones, etc are evergreen rakhi return gifts for young ladies. One can also think of something new and unique that remind you of your childhood days, the fun filled, carefree, naughty times spent together. But before thinking of any of the above gift ideas, you should be very clear about the tastes and interests of your brother or sister. Remember it is always better to send the gift along with a packet of sweets or chocolates. 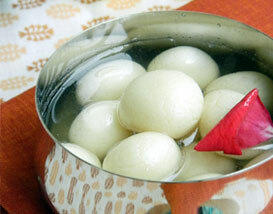 Sweet accompaniments are essentials of any festival celebration.